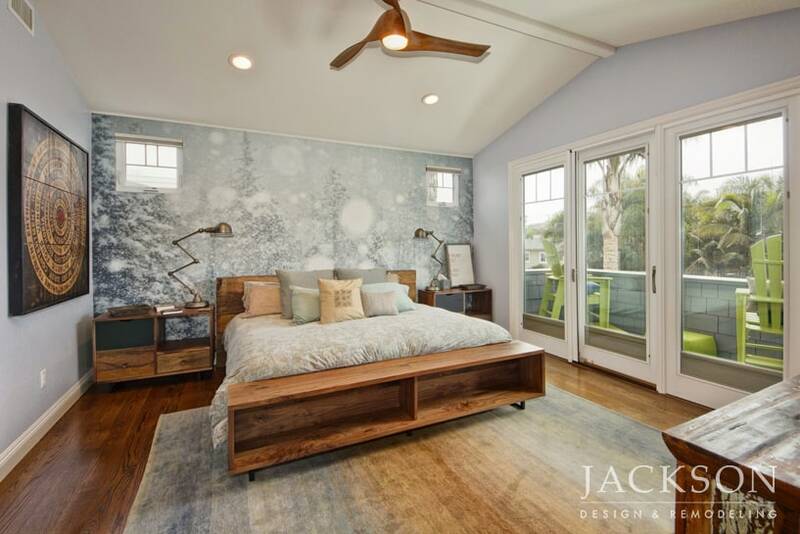 San Diego bedroom design that pleases the eyes and senses carries you away to restful slumber. 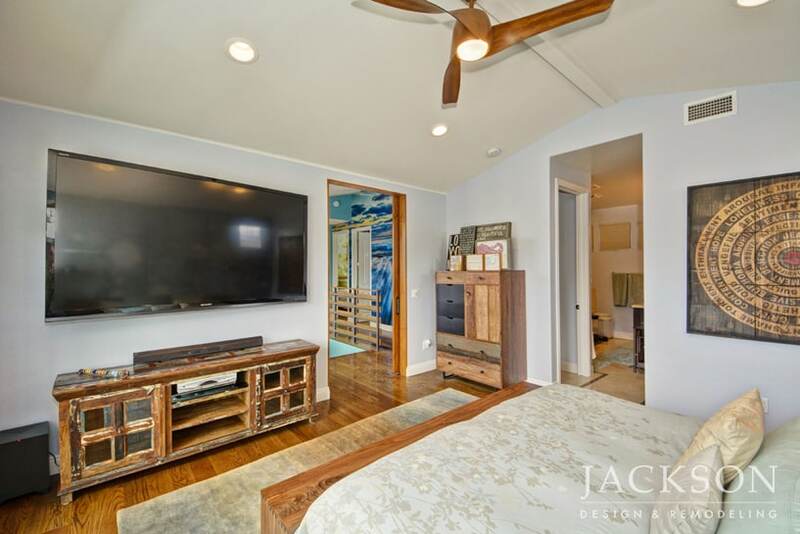 For San Diego bedroom remodeling, consider whats most important to you about a room where you spend several hours each day. 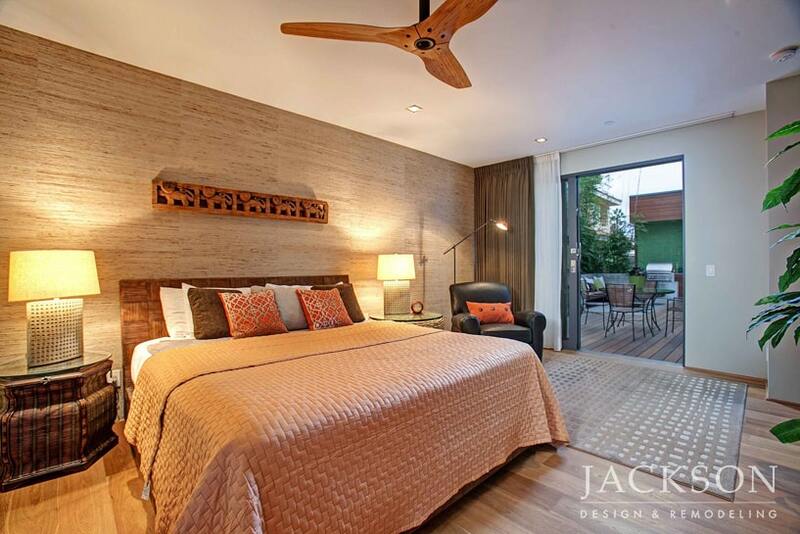 Do you want a serene and airy space or the feeling of a warm cocoon? 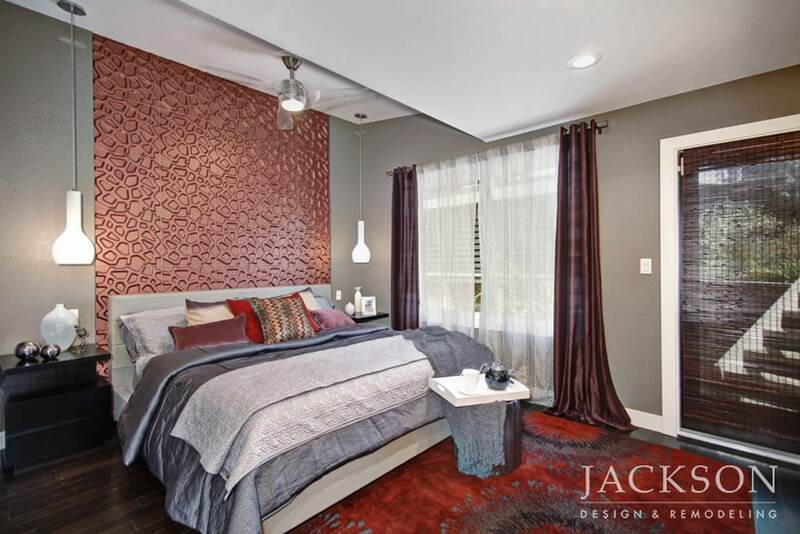 Our designers help you explore materials, textures and colors that appeal to your personal style. 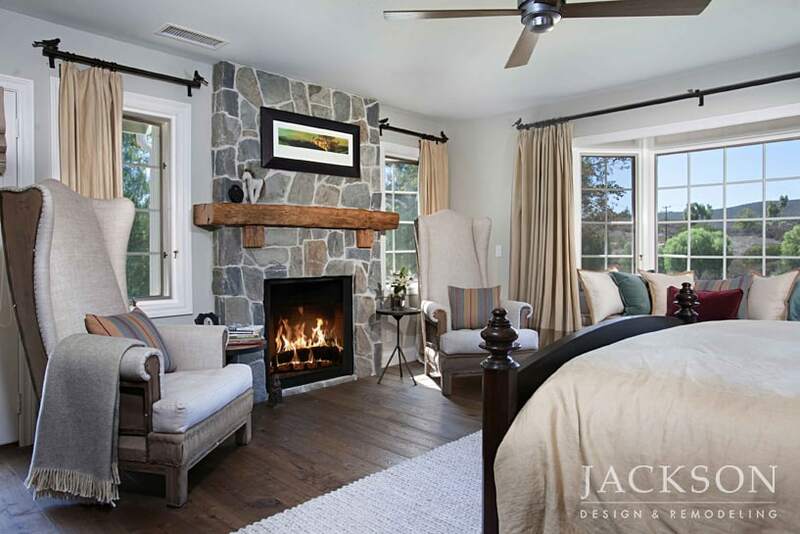 This master bedroom in a Modern Farmhouse features a fireplace in arbutus stone with a reclaimed wood mantle and a cozy window seat with a view. 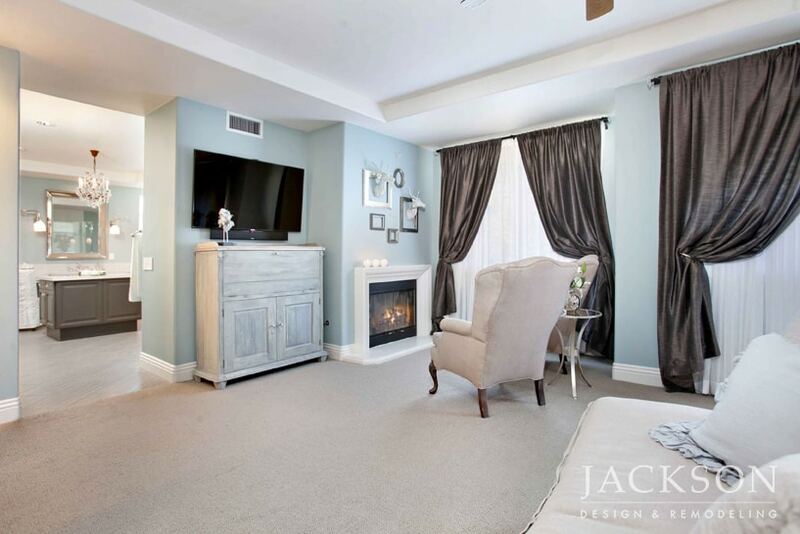 Every element in the room invites a peaceful and soothing retreat. 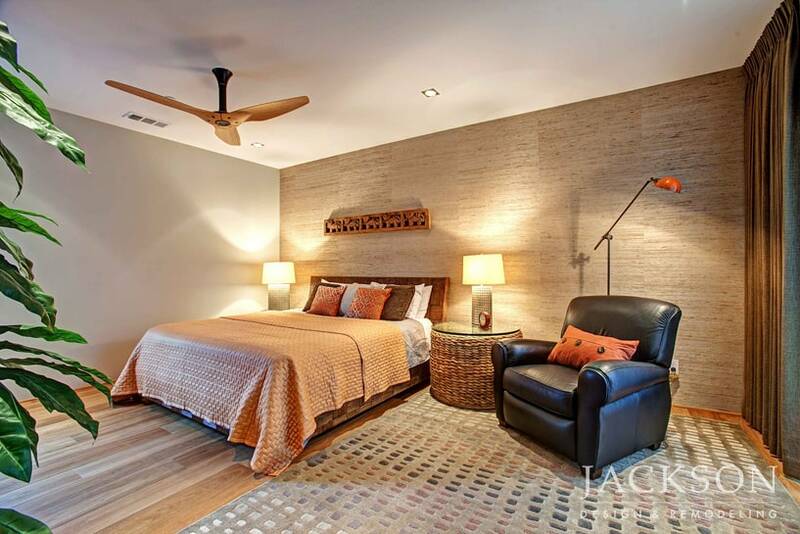 Warm earth tones and comfortable textures lend a palpable sense of tranquility to this master bedroom. 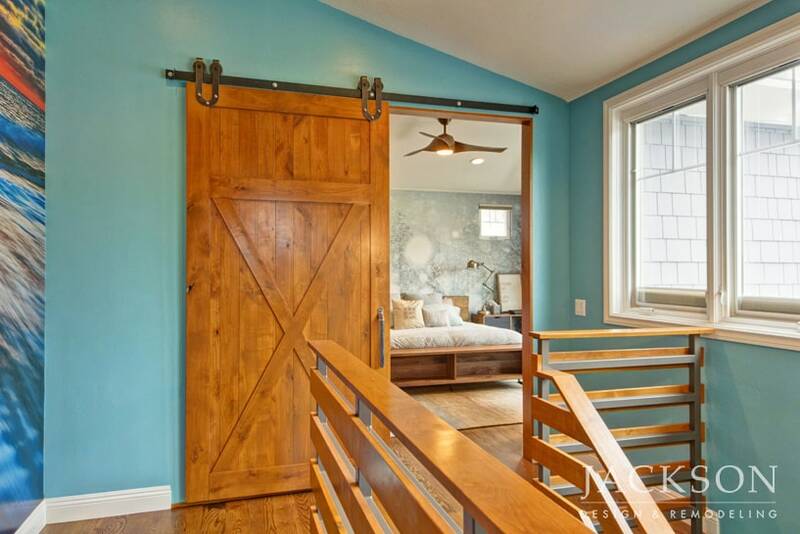 A door to the outdoor area with greenery and a water element adds to the rooms Zen sensibility. A fireplace defined with an artistic display, lush window treatments in a sensuous chocolate brown, and an array of sparkling accessories unify to create a sense of glamorous romance in this serene master bedroom. 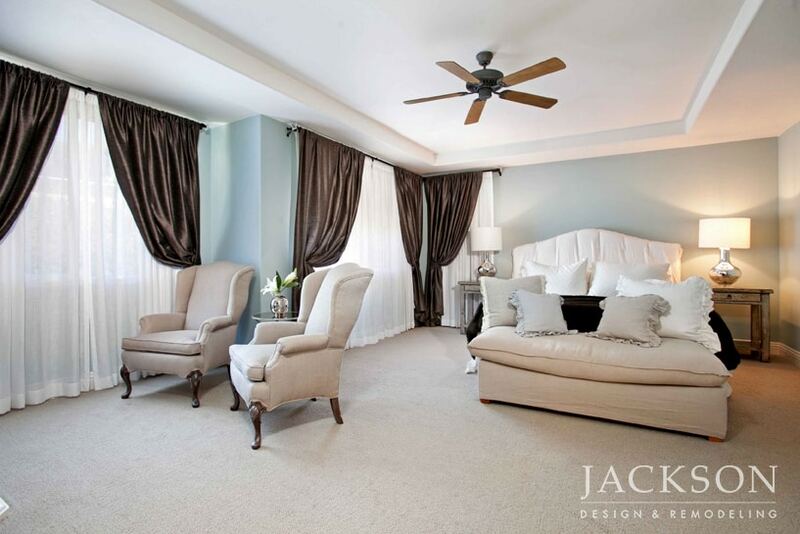 This master bedroom is a calming space designed with a subtle, relaxed style. A wall of abstract wallpaper in soothing tones is the background for a room with maximum natural light and minimum clutter. 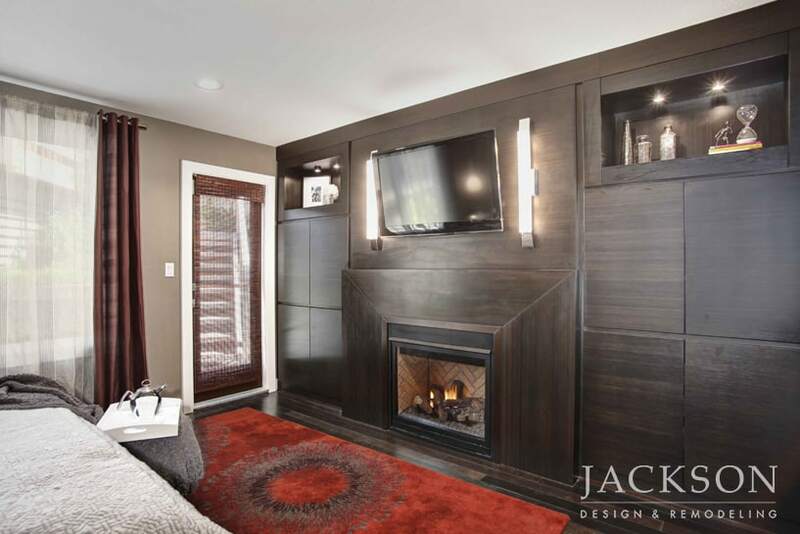 Dramatic color, a one-of-a-kind wall of texture behind the headboard, and a bold wall of cabinetry with a glowing fireplace make for an unforgettable design in this masculine retreat. 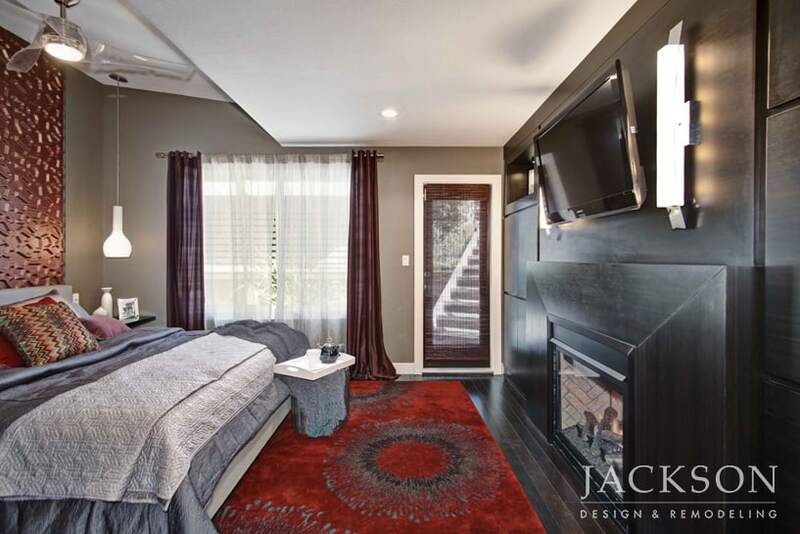 This bedroom for a young child was carefully planned to grow with him, placing an emphasis on clean design. The homes black and white theme is interpreted with contemporary, masculine elegance. Street-inspired wall art injects a youthful spirit. 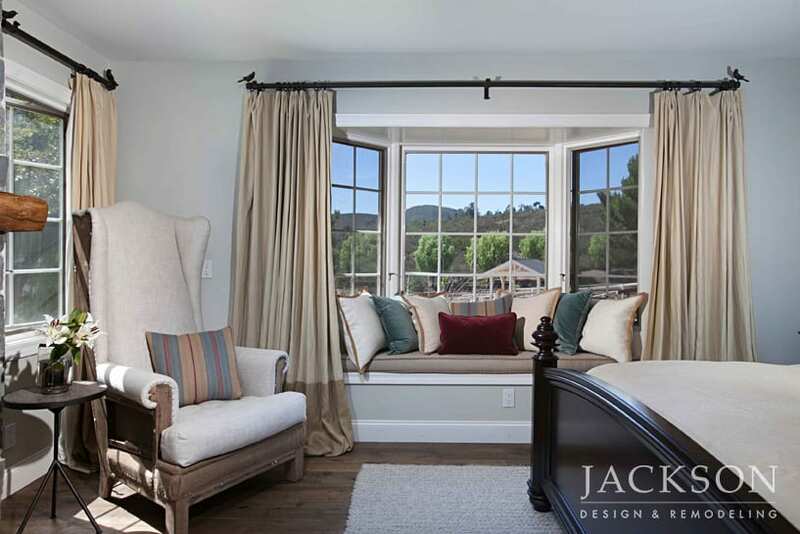 Specialty projects encompass elements of your home customized to your lifestyle. 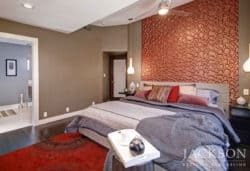 Working with our professional design team, you’ll be guided through a thoughtful process of discovery and inspiration.